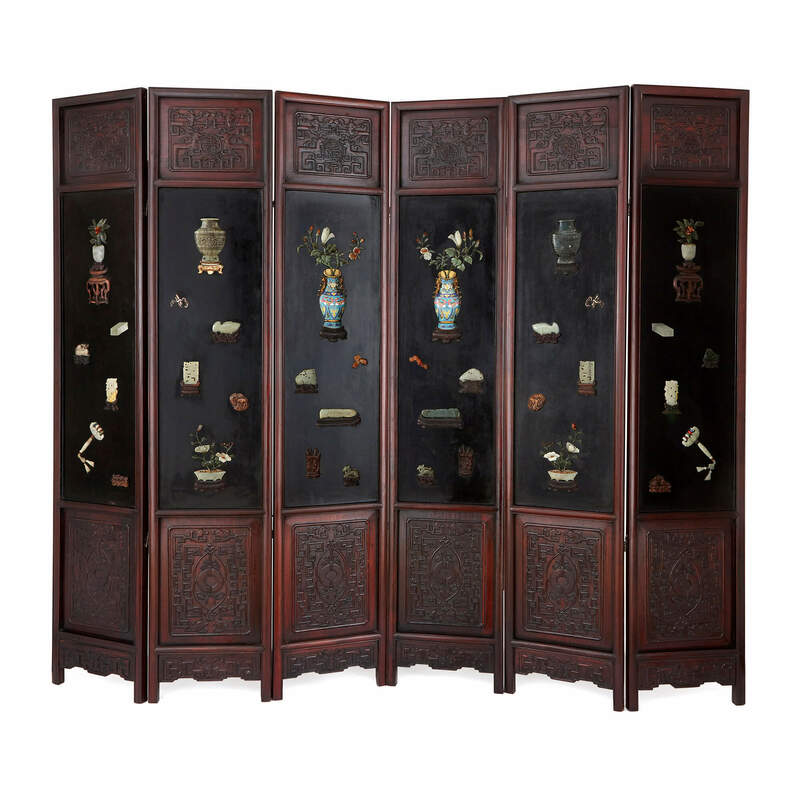 This stunning Chinese screen is beautifully decorated with luxurious, richly coloured materials such as lacquer, hardstones and cloisonne enamels. 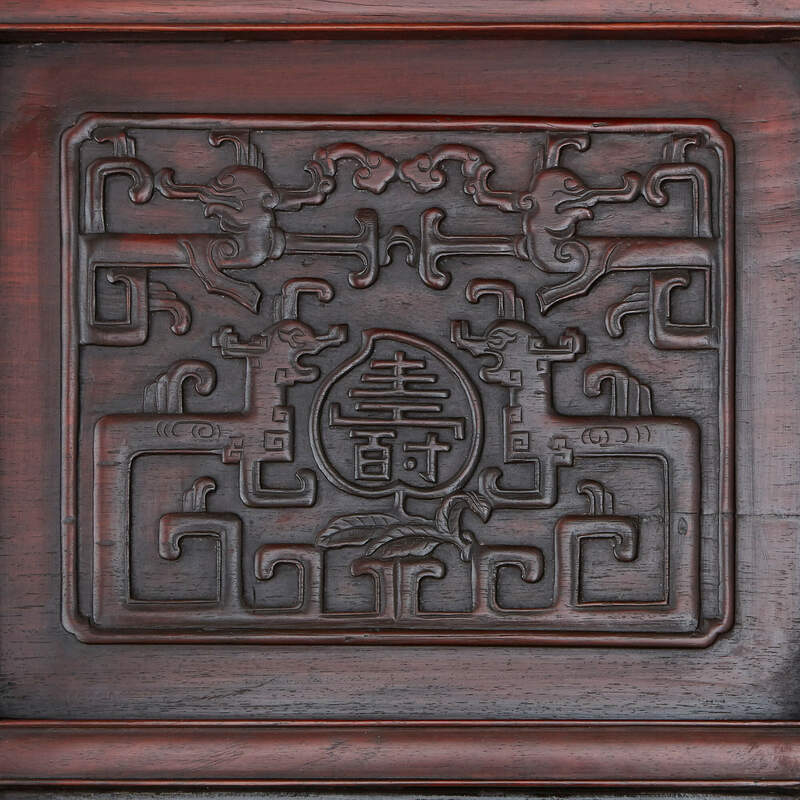 This beautiful antique screen is a refined piece of furniture, decorated to the highest standard in the traditional Chinese style. 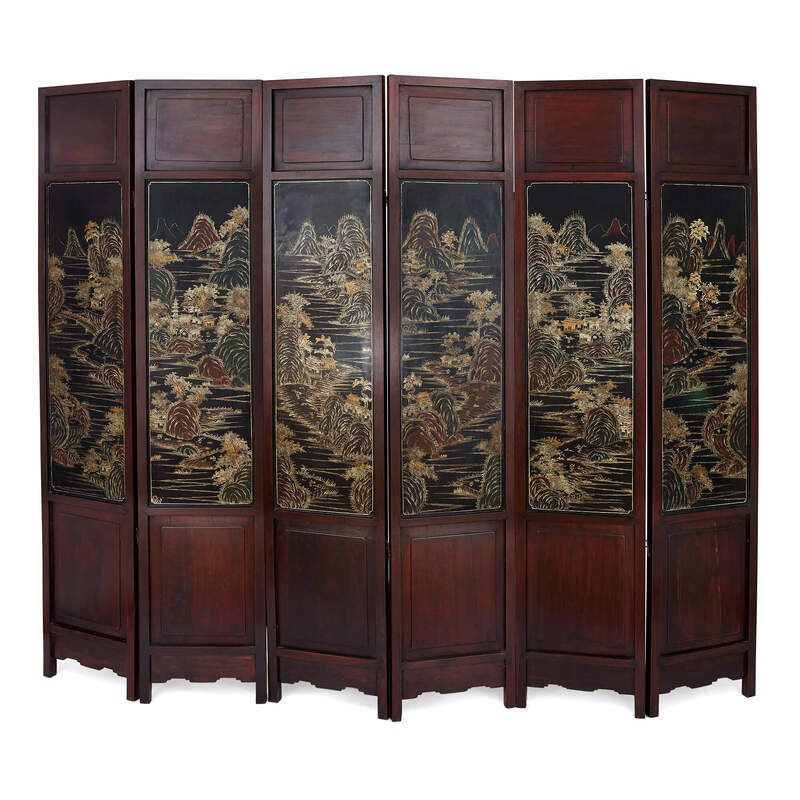 The screen has six panels, each of which is made from hardwood. The top and bottom of each panel features intricate geometric carvings, while the centre of each panel is richly lacquered and mounted with hardstones and brightly-coloured enamels. 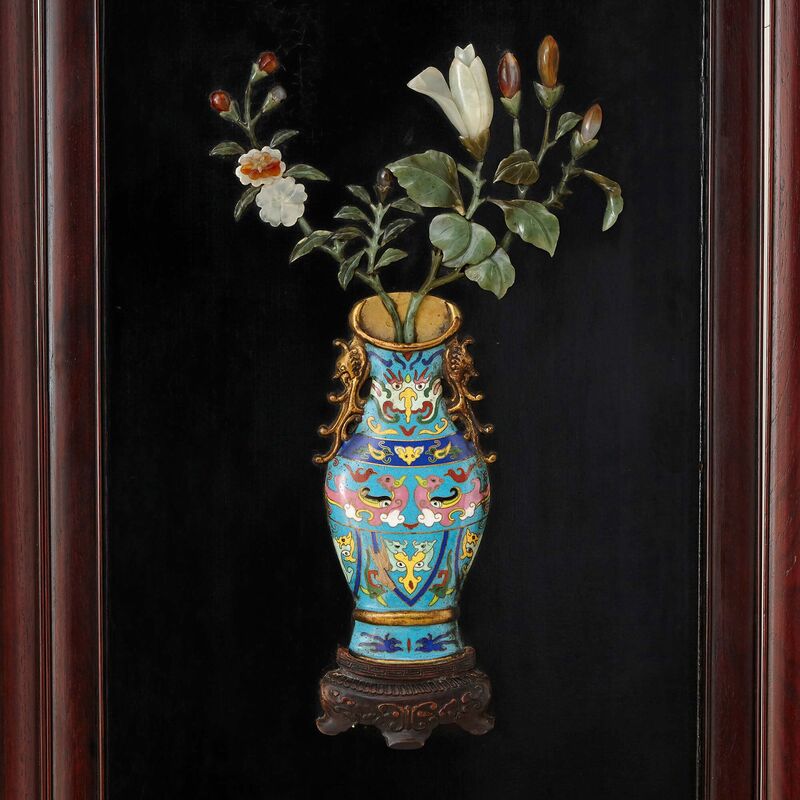 The hardstone and enamel decorations take the form of flowers, vases, objects and animals, each of which is beautifully carved from a wide range of coloured stones. 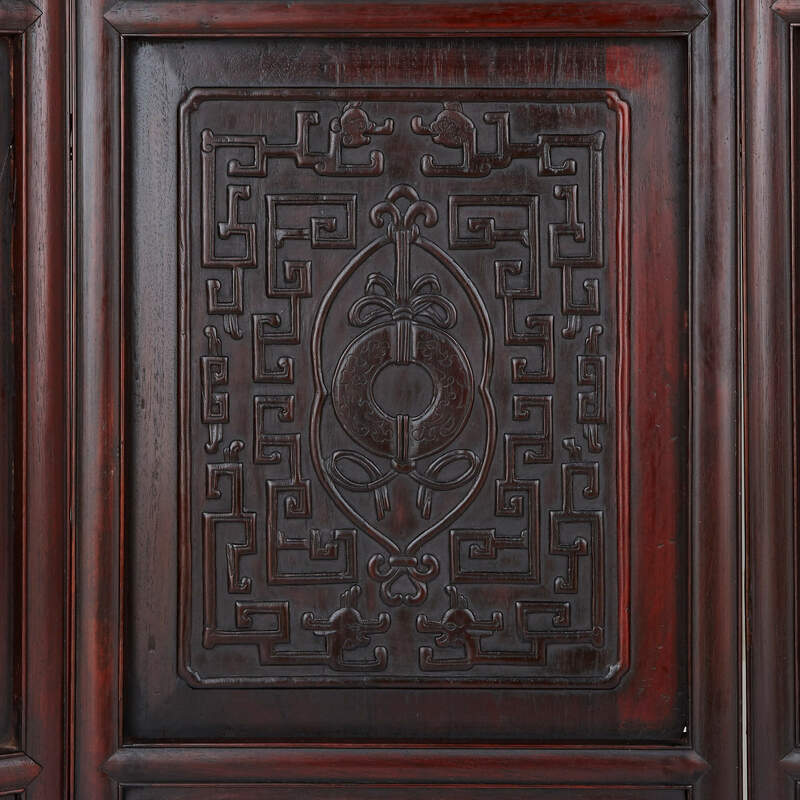 The two central panels also contain large depictions of cloisonne enamel vases with hardstone flowers. 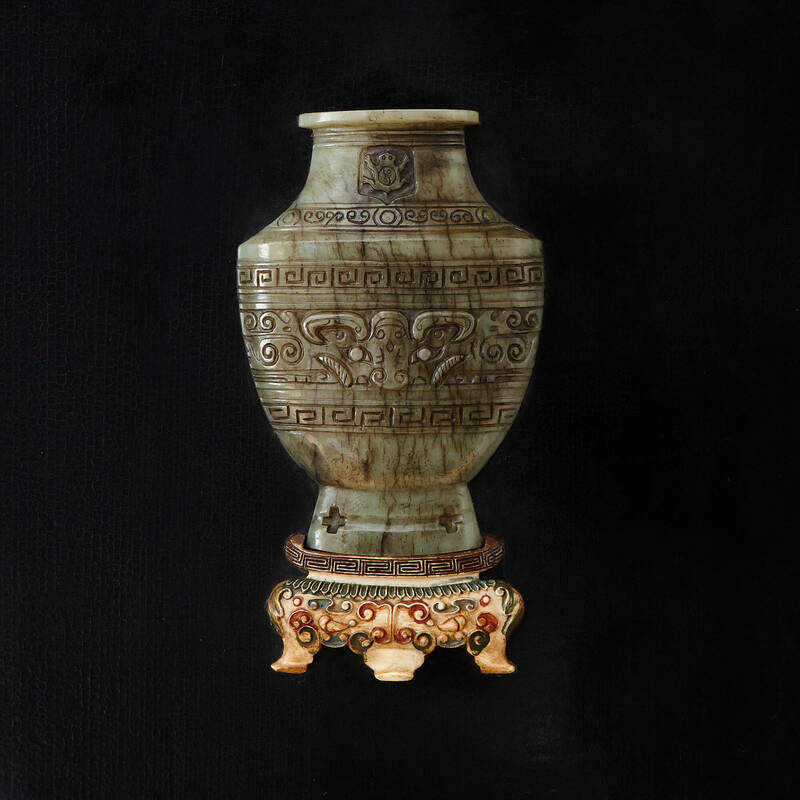 The cloisonne work on the exterior of these vases is beautifully intricate and reminiscent of traditional Chinese enamelling. 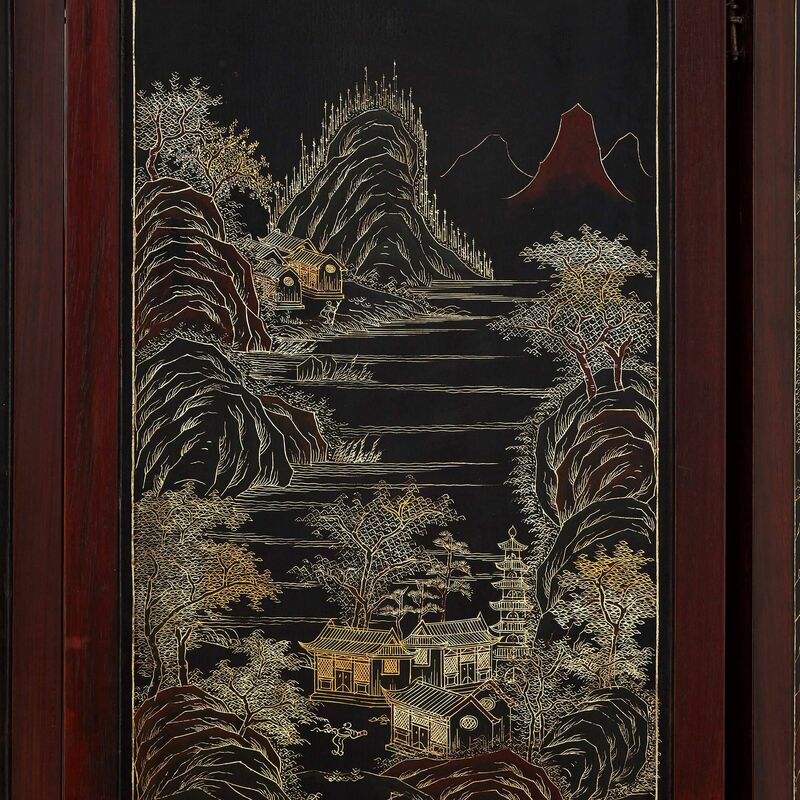 The reverse side of the screen contains a painted landscape scene of forests, hills and houses, which runs across all six panels.